Fix Your Broken Garbage Disposal Today! 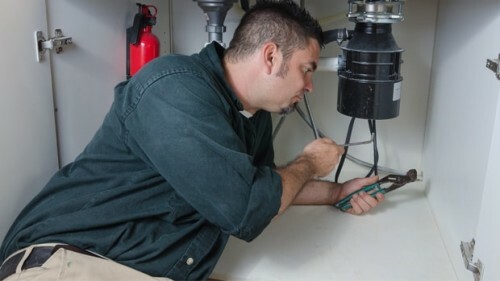 Call the Most Experienced Plumbers in Glendale, CA, for First-Class Plumbing Service 24/7. Did you know that a properly maintained garbage disposal can last as long as 10 years? But, how do you know if you are treating your household disposal with kindness or disdain? Taking care of this plumbing appliance is not difficult, but you do need to pay attention to the type of food waste you are putting into the disposal and that the appliance is installed correctly. At Glendale Expert Plumbing and Rooter, we help property owners maintain their disposals by answering questions, providing tips for caring for the appliance, and offering our professional assistance when you need reliable, trustworthy plumbing service in Glendale, California. Why Isn’t My Disposal Working? Nothing is quite as frustrating as when you go to do dishes and the garbage disposal won’t turn on. Before you panic, turn off the electricity to the unit and follow these quick tips to try to get your disposal working again. If the motor is running, but the blades won’t turn the problem could be that something is stuck in the blades. After you cut power to the disposal, carefully feel around the blade to see if there are food particles or other objects that may be jamming the propeller. Using your sprayer, run cold water over the blades for a few minutes to try to dislodge any particles. If these suggestions don’t work, pick up the phone and call us for an appointment. How Can I Keep My Garbage Disposal Working for Many Years? The manner in which you use your garbage disposal goes a long way in how well it will perform for you year after year. While your disposal is a powerful appliance, it is designed in such a way that not all food waste can be put into the receptacle. For instance, food waste such as fibrous material can be quite harmful to your disposal, jamming the blades and causing the motor to work harder than it needs to. Fibrous materials include things like carrot peels, potato skins, and celery stalks. If you’re not sure what foods you can dispose of using your disposal, give us a call and we’ll provide you with a comprehensive list. Do You Sell and Install Garbage Disposals? You bet! Our contractors are certified to sell and install all brands of garbage disposals. This plumbing service is available to all our customers at affordable prices. To learn more about how to care for your garbage disposal, call us today! Call us for toilet repair, faucet installation, and other residential plumbing needs too!